The error appears because CentOS 7 encourages you to use pkill instead of killall to kill process by name. pkill has versatile application, although, it can be used to kill process by name same as killall. CentOS 7 doesn’t come with ifconfig tools. It encourages users to use ‘ip’ tool for network administration. Although, it is still possible to use ifconfig with CentOS 7. ifconfig is a part of net-tools package. All you have to do is to install the net-tools package using yum. In CentOS 6, timezone files are located under /usr/share/zoneinfo. So, if your zone is for example, America/Chicago (UTC -6), it would be /usr/share/zoneinfo/America/Chicago and so on. CentOS 6, uses a file called ‘localtime’ located under /etc to determine it’s currently set timezone. This would set the current timezone to GMT +6 BDT or Asia/Dhaka timezone, zone I belong to. CentOS 7, comes with a tool called ‘timedatectl’. This can be used to find and set the symlink for you instead of doing the work that were required in CentOS 6. I have an UID, how do I get the username belongs to this UID in Linux? Although, there is no built in command get fetch the username from the UID. We can use a pipe and regular expression match on getent to do that. getent is a unix command that helps a user get entries in a number of important text files called databases. This includes the passwd and group databases which store user information – hence getent is a common way to look up user details on Unix. getent can take group database too, although, we have used passwd database as that contains the UID of the respective linux user. If you are using imunify360, an application firewall for linux servers by Cloudlinux team, you might incur an error where it says the database is corrupt. You might first see ‘Imunify360 is not started’ error from the WHM panel and end up getting the above error message as stated. Imunify360 uses a SQL database, located under ‘/var/imunify360/imunify360.db’. This image is checked everytime Imunfi360 tries to start, and if the database is malformed, it would not start. Fortunately, imunify360 comes with tools to handle this database and recover if corrupted. Once done, you can now use ‘migratedb’ to repair and restore if the database is corrupted. If migratedb fails, the only way to recover this is to reinstall imunify360. CentOS 7 / RHEL 7 doesn’t come with iptables by default. It uses a full functional firewall system called ‘firewalld’. I have been a big fan of iptables and it’s capability from the very first, and since I have switched to CentOS 7, I couldn’t stop using it. I had to stop firewalld and install iptables in all of my CentOS 7 installation and start using iptables rules as I was using before. Here is a small How To guide on installing Iptables and disabling firewalld from a CentOS 7 or RHEL 7 or a similar variant distro. This would save your iptables rules to /etc/sysconfig/iptables as it used to do in previous distros. Linux: Assertion failed on job for iptables.service. which I rarely do so. Assertion failed on job for iptables.service. Once done, restarting iptables shouldn’t show the error any longer. Author SuridPosted on January 7, 2018 Categories How To, IPTables, Linux, security, Server, Server Management, TroubleshootTags centos, centos 7, debian, fedora, linux, redhat, rhel 7, ubuntu1 Comment on Linux: Assertion failed on job for iptables.service. 550 Please turn on SMTP Authentication in your mail client. mail-pf0-f172.google.com [209.85.192.172]:38632 is not permitted to relay through this server without authentication. Diagnostic-Code: smtp; 550-Please turn on SMTP Authentication in your mail client. 550-mail-pf0-f172.google.com [209.85.192.172]:38632 is not permitted to relay 550 through this server without authentication. reason: 550-Please turn on SMTP Authentication in your mail client. They were all basically the same error. This is a common error and the solution is pretty simple as it looks like. Enabling ‘SMTP Authentication’ on the outlook or the mail client should solve the problem. But interestingly, the client was smart and he wasn’t doing any mistake with ‘SMTP authentication’. The error was actually showing up when someone was trying to send the mail to him (As a receiver SMTP). We then tried digging the error further. There is something we need to remember. SMTP is not only authenticated using username and password, it also goes through a dns authentication check too. If your dkim/domainkeys/spf/dmarc do not match as the mail server has advised, the mail will get denied with the same type of error (Error code 550). We then realized the customer account was transfered earlier from a different server and the old domainkeys were still there in it’s DNS zone file. As domainkeys are RSA keys generated per server, it is important to regenerate the keys after the server change. Otherwise, the old key check through the DNS can trigger the 550 error from the receiver relay. We had deleted and generated a new domainkeys for the customer and the error went off. The error was peculiar because display_select_lang.lib.php wasn’t available in any other cpanel phpmyadmin source files I searched. Then I realized “AuthenticationCpanel.php” mentions the error which usually because Cpanel Authentication wasn’t done properly with the MySQL. Cpanel pass wasn’t synced with the MySQL. Going to WHM >> Password Modification >> If you select the user and WHM shows you the ‘Sync with MySQL Password’ option, that means the MySQL password is outdated to cpanel and requires syncing (NB: If the password doesn’t require syncing, this option won’t be there). You can reset the pass and check the option to Sync the new pass with MySQL. 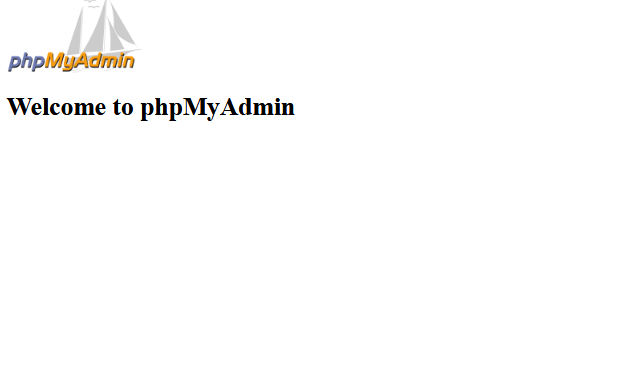 That should restore your phpmyadmin.